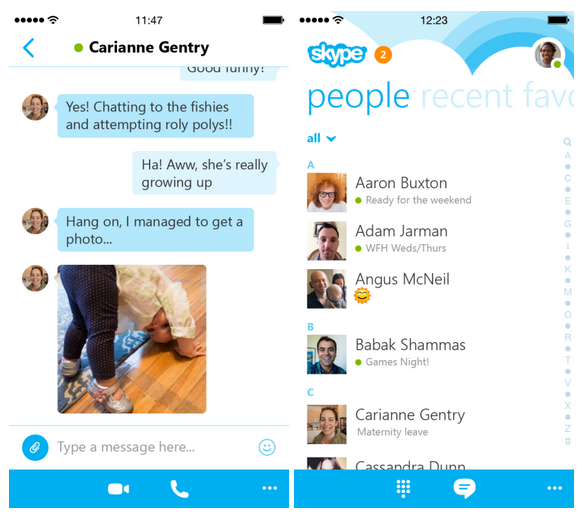 Skype, a Microsoft-owned Voice over IP (VoIP) provider, on Thursday added another missing feature to its iPhone client after a major visual overhaul of the app in June removed a few popular capabilities. 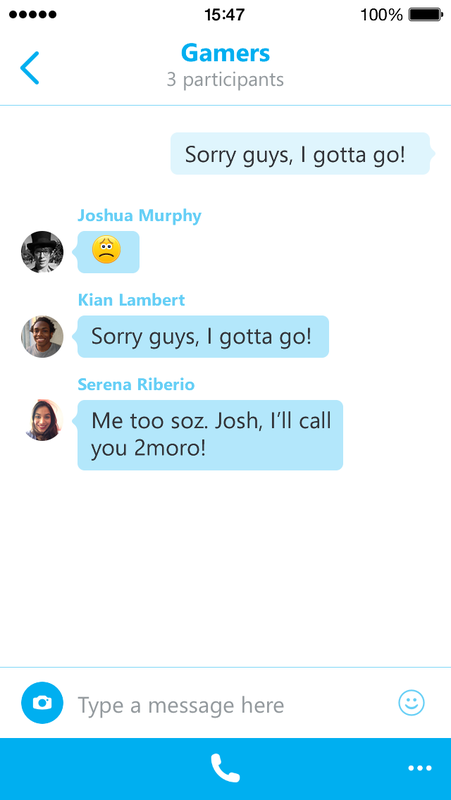 Specifically, the new Skype 5.4 enables group audio calling with up to four participants. You can also add or remove people to an existing call and disabled users should appreciate a few improvements to the app’s accessibility. The refreshed application is now available in the App Store for free. You can initiate a group audio call from a chat, an existing audio call or a video call. To get started, just tap a new call button in the bottom navigation bar to start your call. “We support up to four people on a group audio call in this first release, but you can expect to hear further news on this in the near future,” notes the firm. Once in the group call, you can tap the navigation bar to see the active participants on the call (the number of participants is shown in the top bar), check out who’s in the group but not on the call and of course take anyone off the call without ending the call in progress. 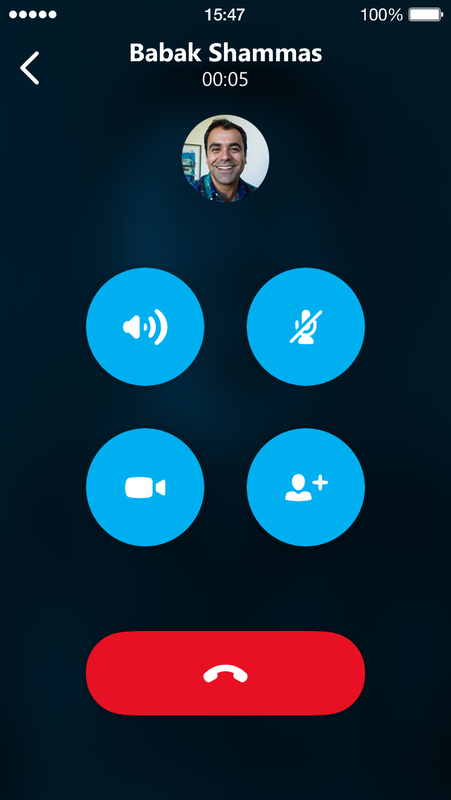 To turn a voice or video call into a group audio call, hit the new Add participant button mid-call, as shown below. For those wondering about group video calling, this feature supports up to nine participants and is available free to all users on the Mac, Windows and Xbox One platforms (used to be a paid Premium feature). 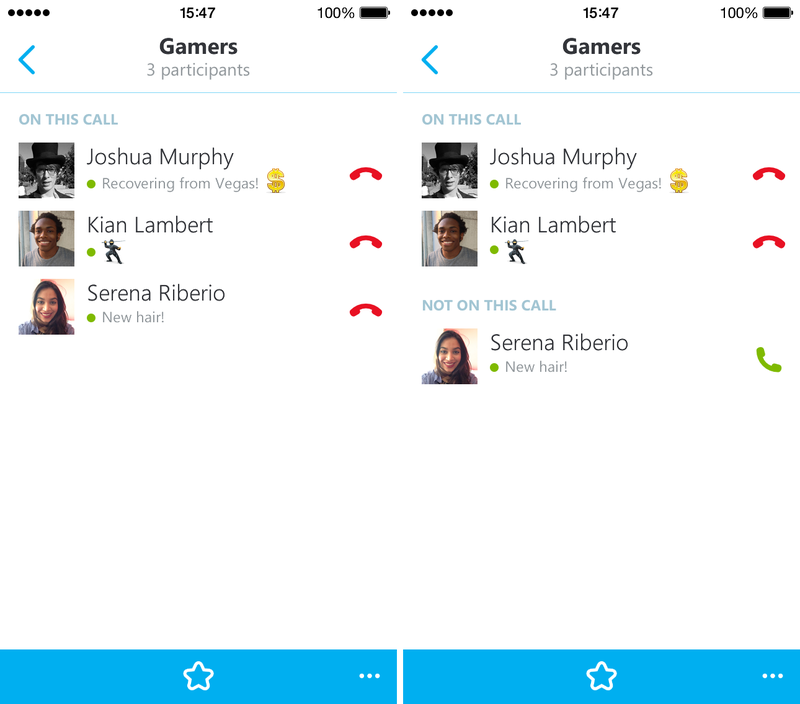 Free group video calling is “coming soon” to Skype apps for Windows Metro, Windows Phone, Android and iOS platforms, according to The Next Web in April. Turn a chat, an audio call or a video call into a group audio call with up to four people. Add (or remove) people to an existing call. New messages are now read out from anywhere in the app and reliability has also been improved. Delete recent conversations using the VoiceOver rotor. Previous updates have brought back other missing features, including voice messaging and contact profiles. Skype’s FAQ lists currently unsupported features on iOS like synchronizing with iOS Contacts, showing favorite contacts and screen sharing (you can’t share your screen with your contacts, but they can share their screen with you during a one-to-one video call). Note that the desktop Skype application is no longer supported on Macs running OS X 10.5.8 and below.